Propolis is a resin that bees produce from the sap of different evergreens. 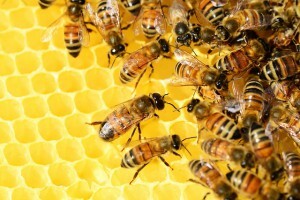 They mix it with their discharges and beeswax to strengthen their hives and embalm their dead invaders. It can boost your health in many ways and, along with honey, it’s considered to be an effective natural remedy for Candida! Propolis has been used for centuries as an antiseptic, and it offers many other health benefits. Interestingly, the benefits vary depending on the locations and plants that bees visited. Researchers found that the health-boosting properties of propolis come from its compounds called flavonoids. Propolis is rich in minerals, B-vitamins, and antibiotics and increases the body’s natural immunity. 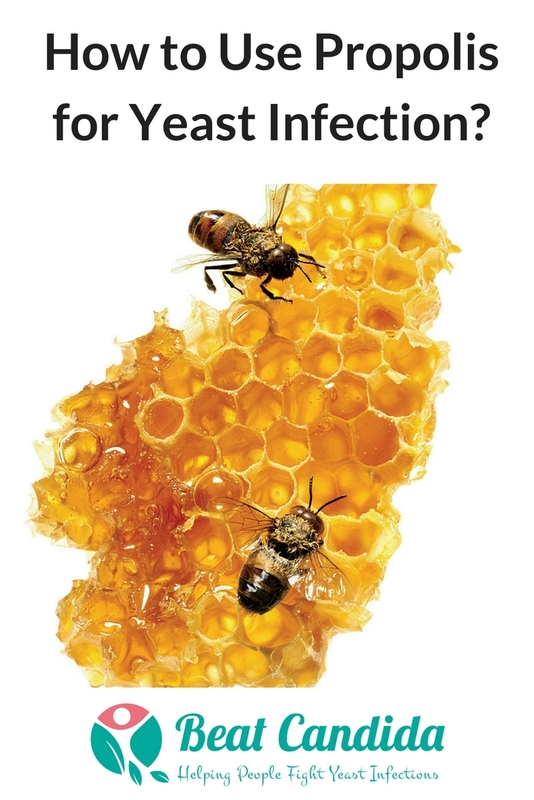 Read More: Is Beeswax Antifungal? 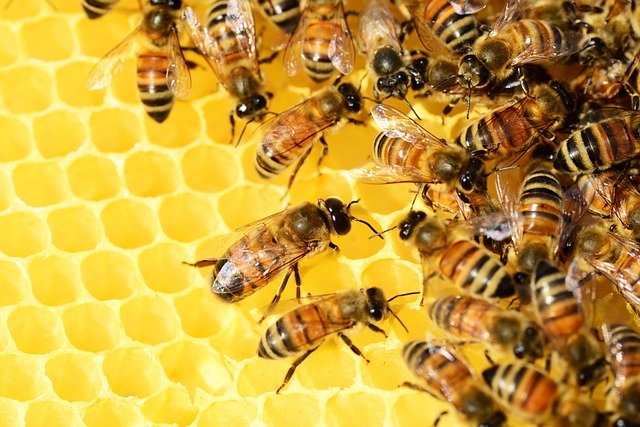 What are the health benefits of propolis? A 2013 study shows that propolis based carbopol gel (a polymer used in lotions, creams, bath and hair gels) is as effective against vaginal yeast infection as clotrimazole cream. A study carried out in Spain in 2009 shows that propolis inhibits the development and growth of Candida albicans. The results were obtained using low concentrations of propolis which shows that its antifungal ingredients are very potent. Hopefully, this evidence will help develop new Candida medication in the near future. So How to Make the Most of Propolis? If you want to treat a vaginal yeast infection with propolis, I found vaginal suppositories that you can buy online, you can read my full review here. Take 1/2 teaspoon of Propolis Extract Ultimate Strength twice a day between meals. 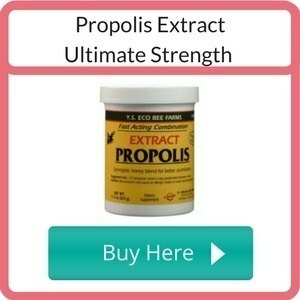 Propolis Extract Ultimate Strength will not only help you fight Candida overgrowth but also boost your defenses against harmful viruses and bacteria. It may be rock solid when you get it. Leave it for a while in a bowl with warm water and it will get softer. 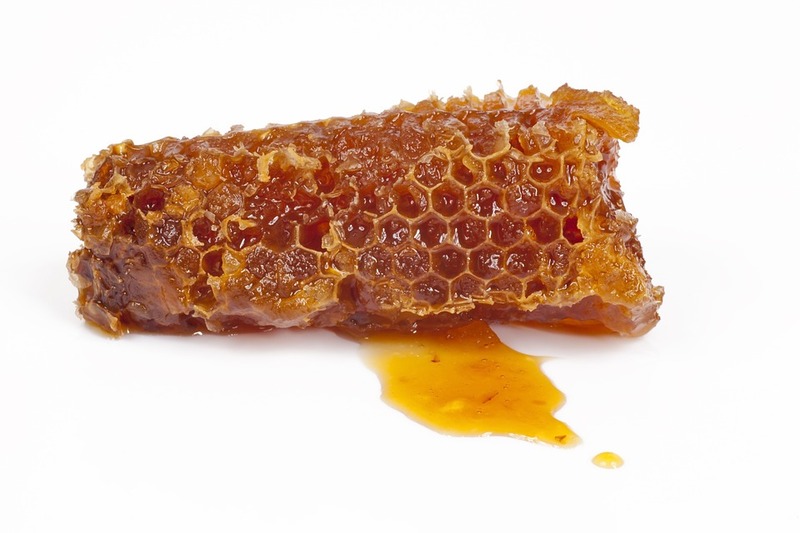 It’s considered safe to use propolis when taken orally or applied to the skin. However, it’s worth noting that it may cause allergic reactions, so you should avoid it if you are allergic to bees or bee products. Also, lozenges and suppositories with propolis can irritate the mucosa and in rare cases produce ulcers. It’s best to consult your doctor before starting to use propolis, especially if you have allergies or asthma. If you’re looking for a natural health supplement that will help you treat and prevent yeast infections and will offer a number of other health benefits, propolis is a great choice. It’s easily available, economical and you can use it in different ways: mixed with royal jelly, in soft gels, suppositories, sprays, and drops. The only counterindication is an allergy to bee products, apart from that it’s a healthy supplement rich in vitamins and other nutrients with well-documented effectiveness against Candida. For more information, you can also check my article about the best natural supplements for yeast infection. If you’re interested in natural remedies for Candida, you may also read my article about natural remedies for yeast infection. I want to hear about your experiences. Have you ever used propolis for Candida or any other health problems? Did it help? « Does garlic cure yeast infections? Wow, you’re so lucky that you can collect your own propolis from your own hive! It’s good to have a few drops a day to boost your immune system, it’s also anti-inflammatory and can be applied on wounds to help them heal faster. It’s amazing really how bees naturally produce so many substances which are beneficial to our health! I used to take manuka honey but have heard since that it ha no real health benefits. I never really did any further research though mind you. Propolis sounds like is would be excellent for many different health problems – particularly those related to a low immune system. Thanks for this article, I found it very useful and interesting. Thank you Hannah, I’m glad you’ve learnt something new from my article. Propolis is very versatile and all of us can benefit from it in different ways to suit our needs. Plus, propolis based products are not very expensive, which is another great benefit! 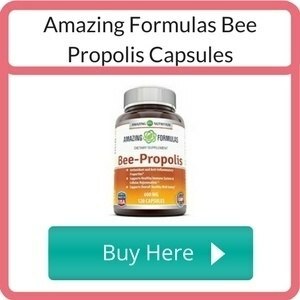 I have heard about some of the properties of taking bees honey but this product propolis sounds like it actually has more benefits than just the honey alone. I know you can use aloe for skin treatment etc but your product sounds like it may be more flexible for some issues you can get. I’ll have to see what my wife thinks of it now that I have come across your site. Thank you for your comment Travis. When I was doing my research I was surprised that propolis is so versatile and offers so many health benefits. Taking propolis daily helps boost your immune system and it’s crucial when you’re trying to get rid of yeast infections. I am still trying to find propolis suppositories for vaginal yeast infections, they are available, but difficult to find online. Once I find them, I will update this post. One of my daughters suffers from vaginal candidiasis due to pregnancy and I found your site most helpful on the subject so I referred it to her. We couldn’t find any information on how to use it in the treatment though, would you please let us know how do you treat it with propolis? Hi Oscar, I’ve just updated my post with information about treatment. For the time being there aren’t any propolis based vaginal suppositories available, but your daughter could use propolis extract to boost her overall immunity, it should help with Candida overgrowth as well. But she will definitely need to consult it with her doctor. You are telling us that propolis is very good and has many advantages, but when should I take it? Is it something I should take continously or just when I have certain kind of illness? Hi Don, I’m glad you like the post. It’s best to use it every day to boost your immune system and overall health. When you’ve got a cold, you could use propolis throat spray or propolis nasal spray, they work wonders and they are 100% natural!